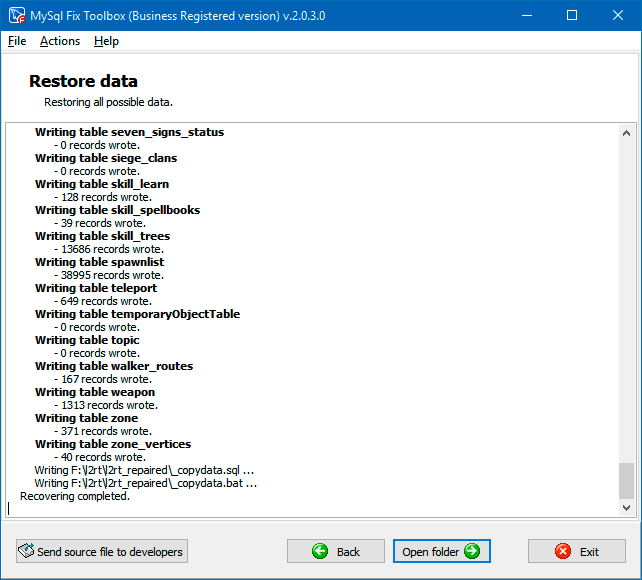 Fix Toolbox for MySQL is a compact and efficient tool for recovering information from damaged MySQL databases. 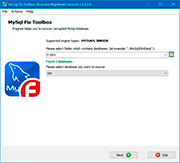 Fix Toolbox for MySQL helps to fix MySQL database of any size. 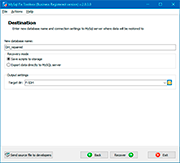 Works with the main encoding systems. Preliminary review of recovered data. 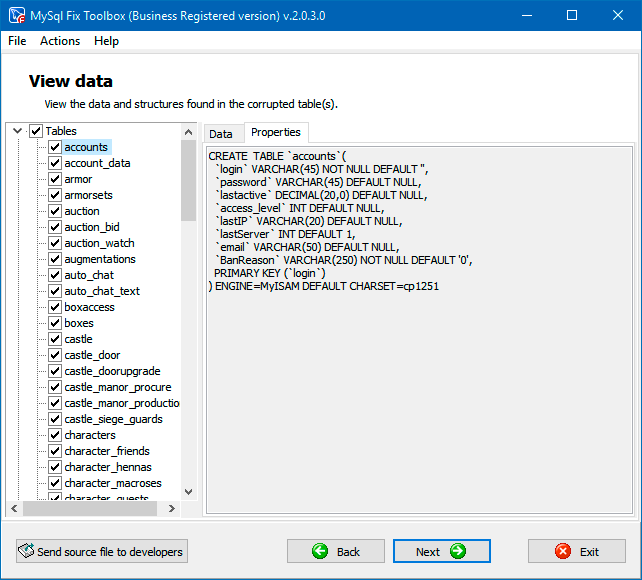 Export as SQL scripts or directly into a new database on the server. 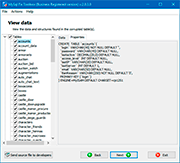 The program works with MyISAM and InnoDB formats and can save data either in the form of SQL scripts or directly into a new database on the server. 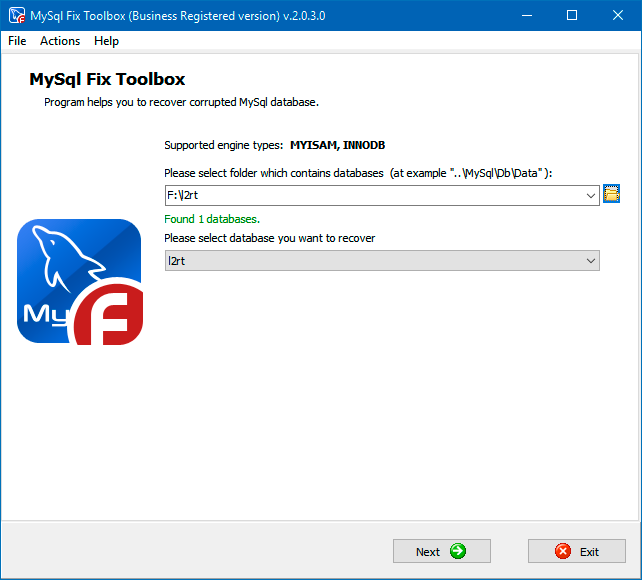 How to fix a corrupted server configuration in MySQL with helps of Fix Toolbox for MySQL? Note: The program is not licensed under GNU General Public License (GPL) or GNU Lesser General Public License (LGPL). 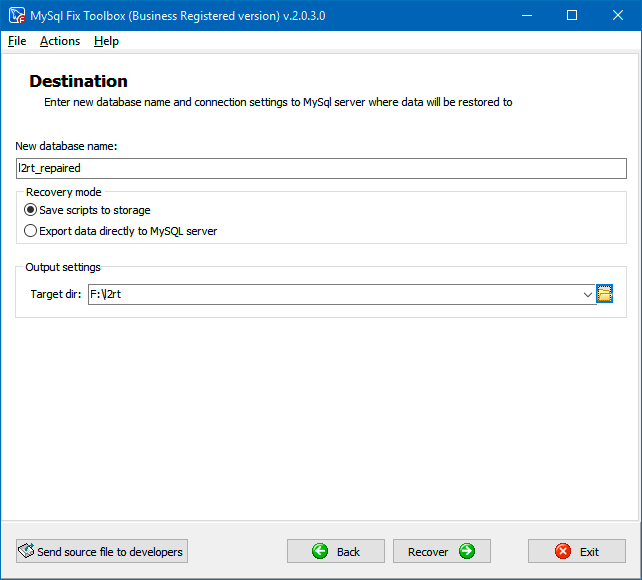 Fix Toolbox for MySQL is not open source software or a freeware tool. 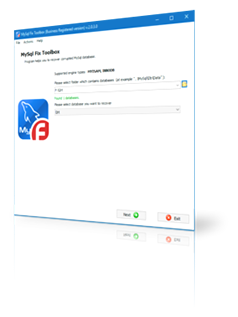 Fix Toolbox for MySQL is distributed on the try-before-you-buy basis with a free DEMO version. Note: MySQL is registered trademark of Oracle. 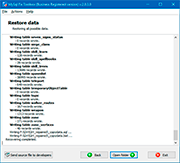 Selection of a damaged database file. Overview of the database structure.